The Village of New Athens Illinois is located in St Clair County, about an hours drive southeast of Downtown St Louis. Important roads for the community are Highways 13 and 156, Spotsylvania Street, Keim Road, Baldwin Road and others. New Athens was recorded as having a population of 2,054 residents in 2010. The Village was officially incorporated in 1881. 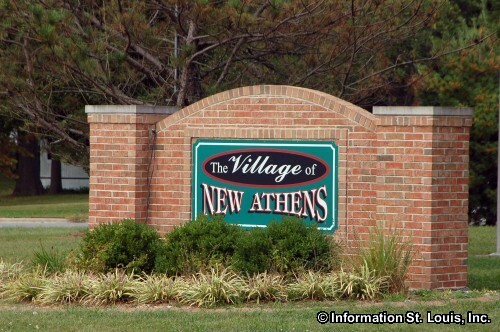 The residents of New Athens are served by the New Athens Community School District #60. 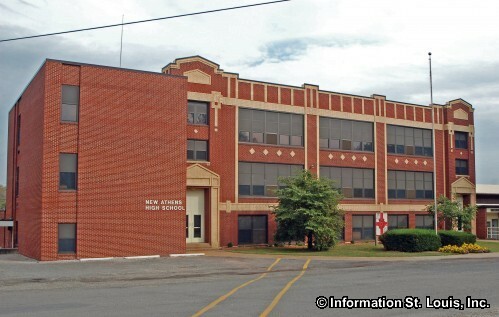 The district has an elementary school, a middle school and New Athens High School. St. Agatha School also serves the New Athens community and is a private Catholic school with grades Preschool to 8th grade. There are two parks located in the village. One is the Okaw Valley Park which features amenities such as a roller hockey rink, basketball court, baseball and softball diamonds and batting cage, pavilions and a walking trail. The New Athens Little League program uses Okaw Valley Park for its games. The other park is Hanft Park which has a fishing lake, sand volleyball and tennis courts, a playground and large pavilions. 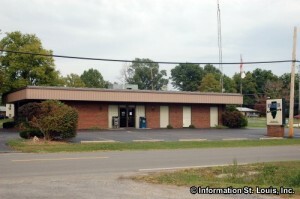 New Athens is located on the east bank of the Kaskaskia River thus recreation opportunities on the river are endless! A three lane boat ramp at the New Athens Boat Launch gives access to the river and the channelized portion is perfect for boating, jet skis or water skiing. Other amenities at the Boat Launch are a full service marina with boat docking facilities, restrooms and camping facilities. There are also places in the river such as the oxbows and backwater areas that are perfect for fisherman because they are designated as being "no wake". Types of fish found in the Kaskaskia include largemouth bass, channel and flathead catfish, carp, freshwater drum, crappie and bluegill. Hunting for waterfowl, squirrel and deer can be done in the bottom lands of the Kaskaskia River Fish and Wildlife Area. This fish and wildlife area is an Illinois State owned and managed site and consists of over 20,000 acres of land that lies on both sides of and includes the Kaskaskia River and surrounds the Village of New Athens.